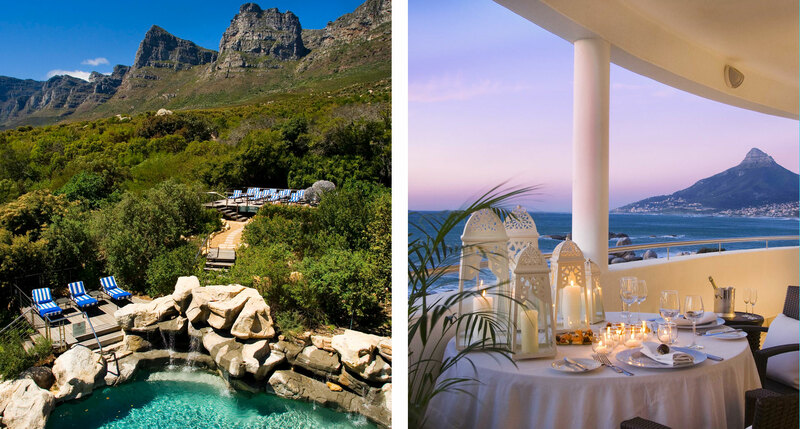 From the city to the coast to the countryside, Cape Town is the kind of place that has something for everyone. 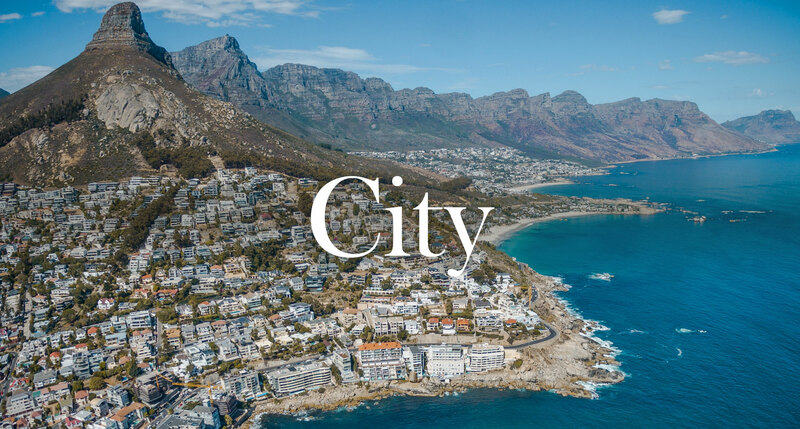 The Mother City, Tavern of the Seas, Cape Grab — Cape Town’s three historic nicknames stand in for its three defining characteristics. 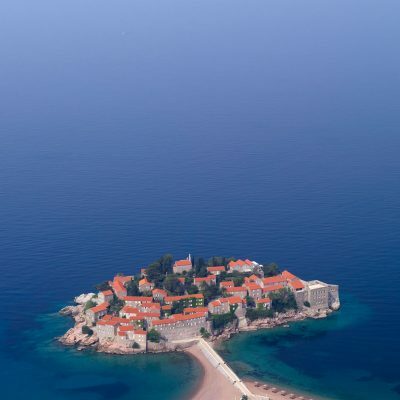 Respectively, it’s a sprawling urban center, a seaside foodie capital, and a place for innkeepers looking to make a buck. An honest buck, we’ll add, at least these days. Travelers have passed through Cape Town perennially but today it’s more worth a visit than ever. For the nature, the food, the adrenaline rush, the beaches, and also the history — apartheid museums and tours are a testament to a country still reckoning with its infamous past. So come here to learn. Come here to eat. Come here to swim with sharks. We haven’t even mentioned the wine yet. The point is: There’s a lot going on in this triptych of a city. 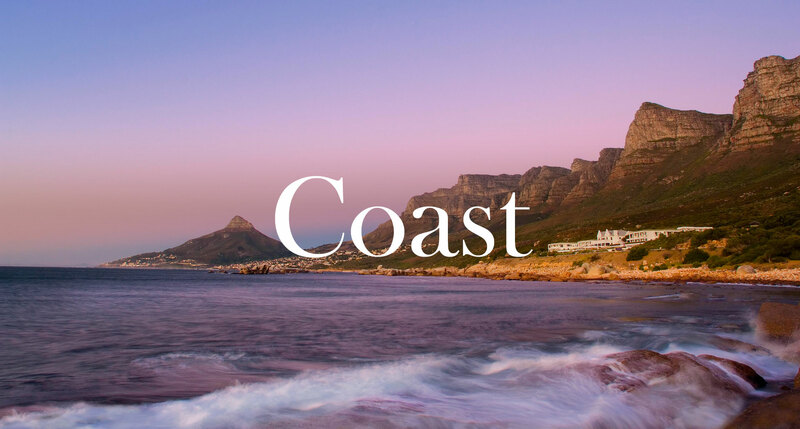 Allow us to introduce the three C’s of Cape Town. You should start with the city. 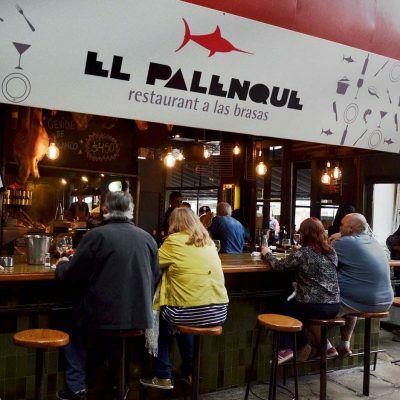 There’s the foodie culture (make your reservation at Test Kitchen now), the crafts and souvenirs from all over Africa (Greenmarket Square), and the nightlife embodied by the famed bohemian areas (on Long Street or the trendy Bree Street). There’s the Victorian architecture, the waterfront, and the cable car flying over it all from the omnipresent Table Mountain. 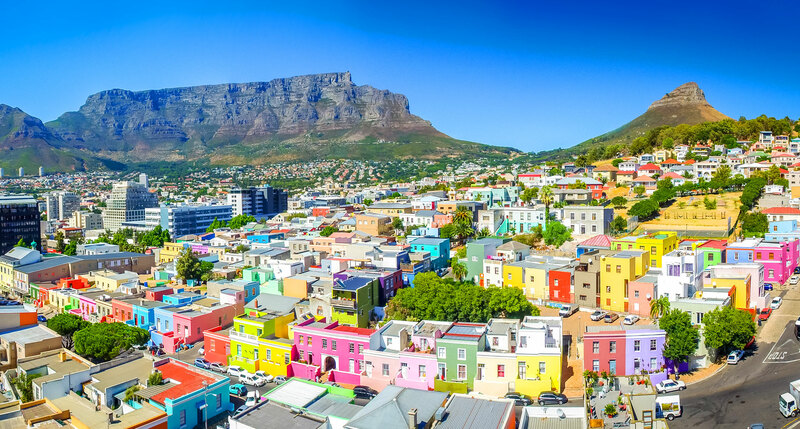 But the most compelling reason to spend time in the city’s central neighborhoods is the history — that of slavery, apartheid, and colonization — told through emotional and intimate first-hand accounts at places like the District Six Museum, Robben Island (a ferry away), and the Bo Kaap Museum. Start there and you’ll have a better sense of perspective about this complex city. 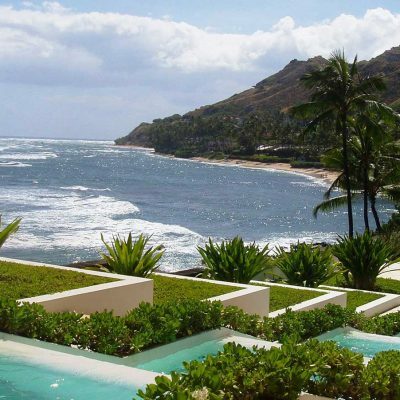 When you’ve gotten a sense of the metropolis, go to the coast — not that they’re mutually exclusive. 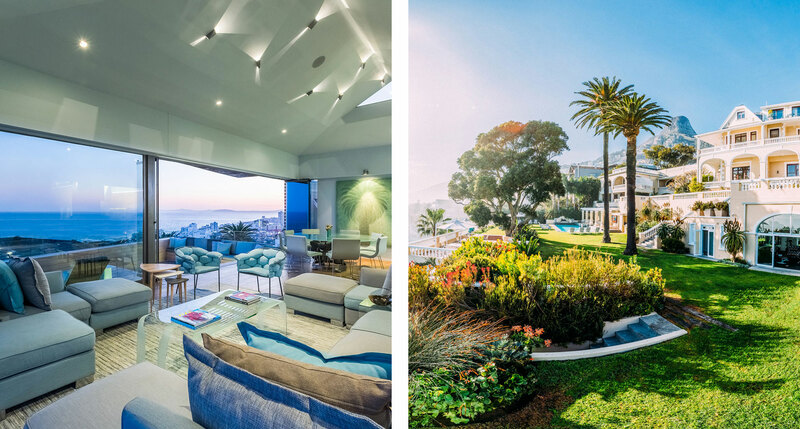 Some of the nicest beaches are in suburbs like Camps Bay or Sea Point, minutes away from the city center. Even the wildlife is city adjacent, with nearby Boulders Beach a must for anyone who wants to frolic with penguins (everyone), and a voyage to Seal Island a showcase for great white shark attacks (not for everyone). Cape Point and Cape of Good Hope, an hour from downtown on the famed Cape Peninsula, are both natural wonderlands with clifftop views of the ocean. So there’s plenty of coast to see if you’re staying in the city, but a few hours down the shoreline and you’ll find the natural attractions on steroids. Hermanus is renowned for whale watching, Gansbaai for cage diving. The famous “Sardine Run” along the Eastern Cape is a byword for predators of all shapes and ferocity. But, like we said, you could also ignore all that shark stuff and just lay out on the lovely beaches, in the metropolis or outside it. There’s plenty of coast to go around. Left: Boulders Beach, where “Jackass Penguins” are known for their loud braying. (Image courtesy of Jack Young – Unsplash). Right: Whale watching in Hermanus. 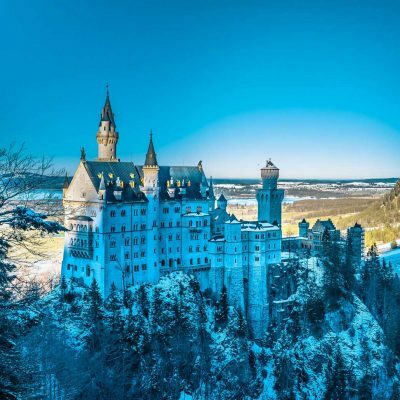 Now that you’ve seen the city and luxuriated in the coast, you’re ready to see the country. 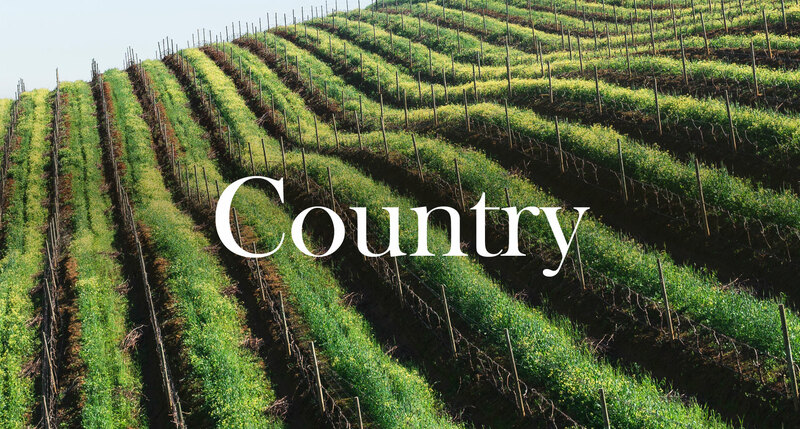 And when we say country, we mean wine country. 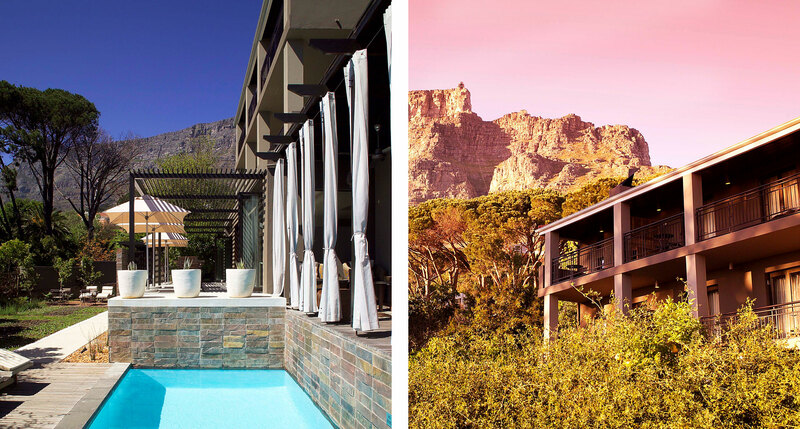 The Cape Winelands are world-class when it comes to beauty as well as upscale inebriation. 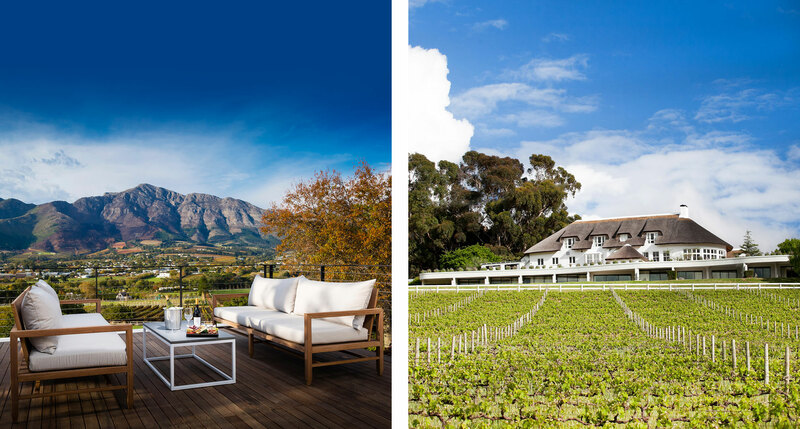 Not that you have to travel far — whether you go just outside the city centre to Constantia, 40 minutes to Stellenbosch, or an hour to Franschhoek, the wine is celebrated and, more importantly, plentiful. 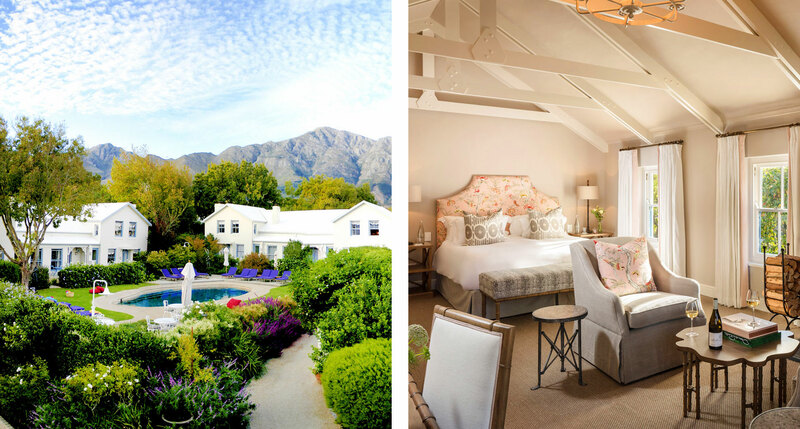 Franschhoek, a beautiful town in a gorgeous valley ringed by mountains, is known as much for its gourmet food scene as its wine, a charming place to spend a few nights. 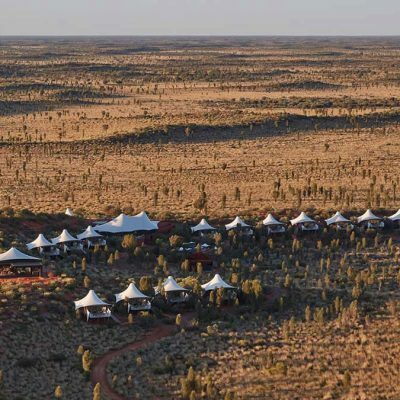 We will say, though, that sheer number of wine estates could overwhelm your planning capabilities. 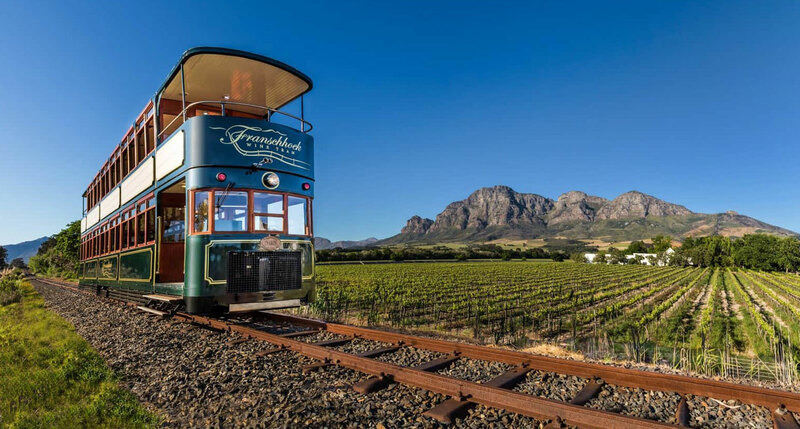 We’d have to recommend the wine tram to get acquainted. Take the wine tram. The great thing about Cape Town? Stay in the city and you’ll have plenty of access to the beaches, stay on the coast and you’ll have plenty of access to the city. Or, spend your time in Franschhoek drinking wine or in Hermanus watching whales. We recommend a little of everything. Square in the City Bowl between the mountains and the harbor, Kensington Place — in the quiet suburb of Higgovale — is as intimate as they come. Just eight suites with every luxury, it’s more than possible to feel like a guest in a private home here, but — as you’re tantalizingly close to city center — you can stay out as late as you want. Winston Churchill once called this place a “most excellent establishment,” and it’s that kind of hundred-year-old pedigree that makes the Belmond Nelson Hotel the most famous top hotel in the city. It’s perhaps in better shape now than ever, with antique interiors and canopy beds that go along with timeless activities like tennis, squash, spa treatments, personal trainers, and afternoon tea. 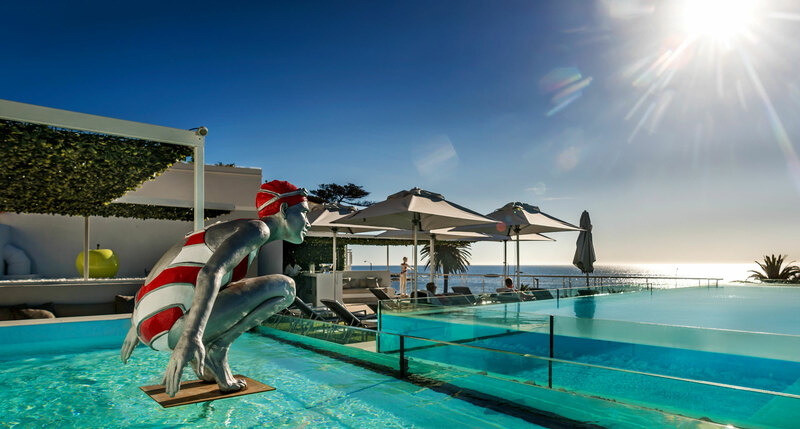 Between the gorgeous beaches of Clifton and Sea Point, Ellerman House is another of the city’s century-old hotels, one with a small size and old-world atmosphere that make it feel more like a manor-house getaway than a hotel. Not to mention, the hilltop vantage of the sea is as good a view as they make them. In an upscale coastal suburb, it should go without saying that South Beach Camps Bay is just a few minutes’ walk to the beach. A pair of converted apartment buildings, the suites here are more like, well, apartments, complete with kitchen and fully stocked fridge in lieu of a hotel restaurant. Hip, boutique interior elegance isn’t all that defines the Twelve Apostles Hotel, although the smart design here wouldn’t be out of place in Miami Beach. Another spot in Camps Bay, it’s all about the coast here, with hiking, deep-sea diving, and beach strolling easily accessible and the city just a shuttle away. 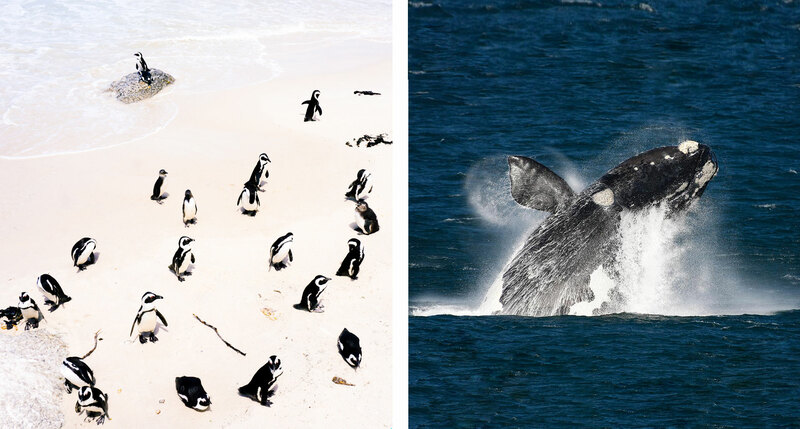 This city, just under two hours from Cape Town, is so great for whale watching that guests at the Marine Hermanus don’t even need to leave their luxurious rooms to watch the whales breach (a seasonal attraction — July to November). 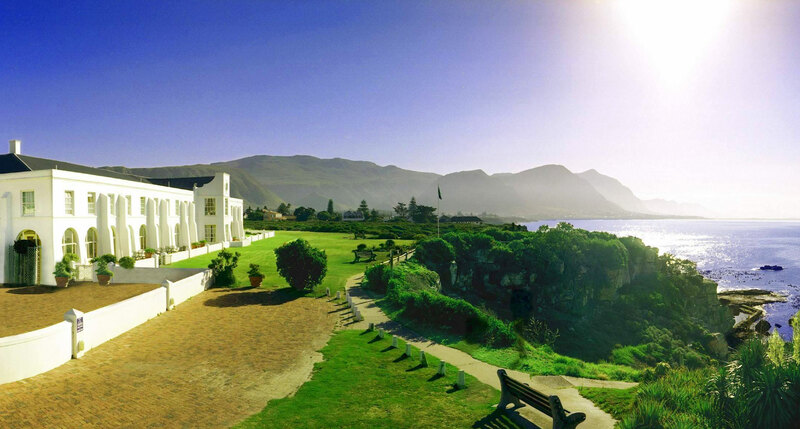 It’s set atop a cliff overlooking Walker Bay — make sure you book a suite facing the sea. 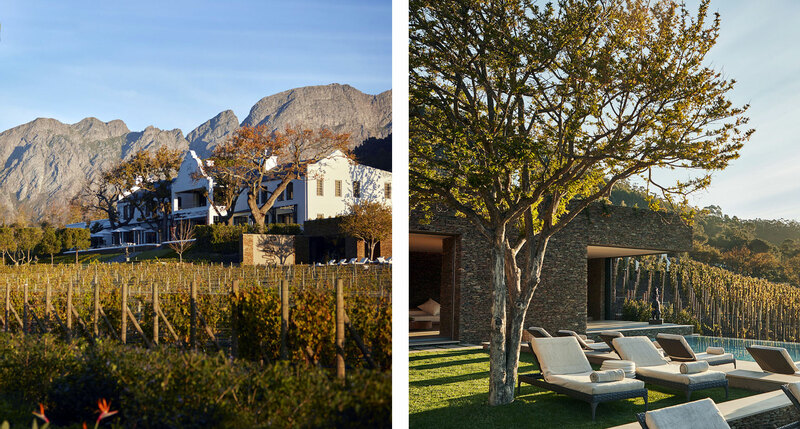 In Franschhoek, a location on a hillside surrounded by gardens, vineyards, and mountain peaks is mandatory. Leeu Estates completes the picture with 17 extremely comfortable rooms, an impressive art collection, lovely gardens, free-flowing local wine, and a spa. Choose between the charming, rustic original guest rooms or the even larger and more decadent ones in the luxury wing at Mont Rochelle, it’s all quite elegant. 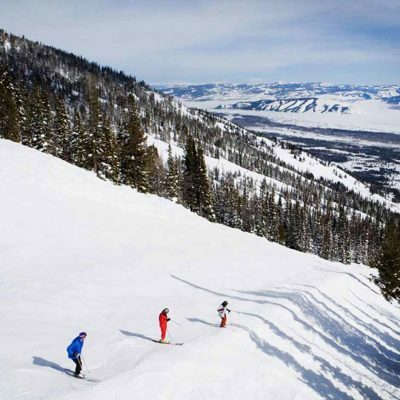 As a bonus, the hillside on which Mont Rochelle sits is the perfect vantage from which to look over the quiet, picturesque village before setting off for wine tours, biking, or horseback riding. As the name might suggest, Le Quartier Francais leans into the town’s French influence, offering a simplified French auberge look to go with its spacious bedrooms, dressed in rich colors and hand-painted fabrics. Even more in line with Franschhoek sensibilities, food and drink are the focus here — the restaurant and bar serve a truly impressive selection of local wines, as well as beer and ciders. 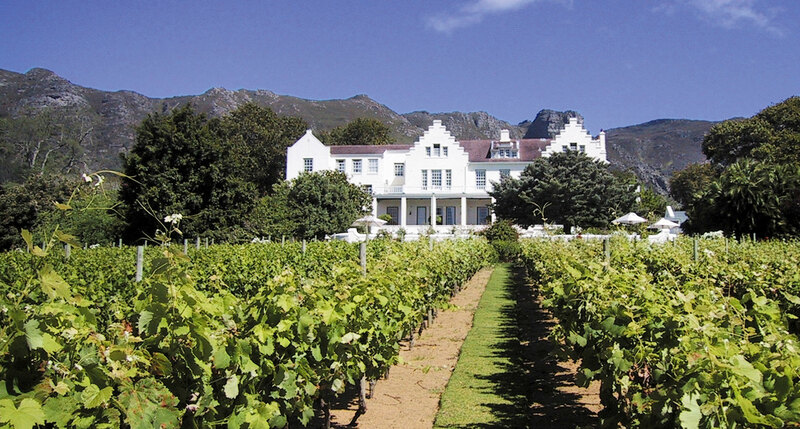 In the Cape Town-adjacent wine region of Constantia, the Cellars-Hohenort offers fine dining, in-house sommeliers, and no fewer than four bars and restaurants. The winery-estate is charming but modern, rather spacious, and full of stunning views of Table Mountain as well as their own lovely gardens. 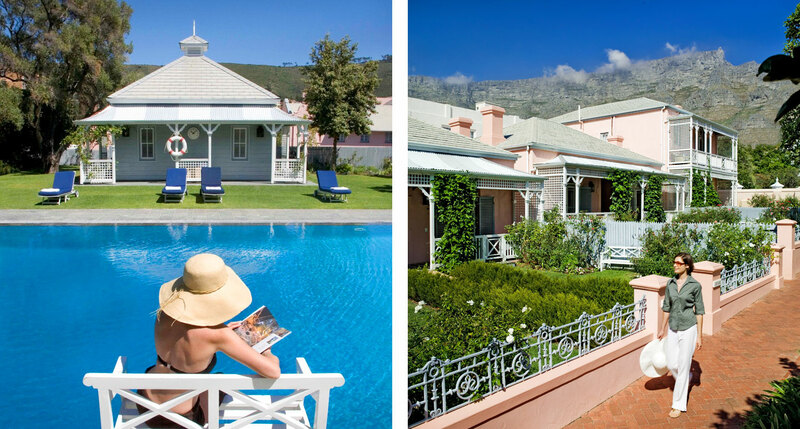 See all of our boutique hotels in South Africa. Along the Garden Route try Kurland Hotel just outside Plettenberg bay and also The Plettenberg in the small hamlet itself.